The mission of Comfort Pros Heating and Cooling is to provide honest, reliable HVAC services that stands head and shoulders above the rest. Allow our HVAC company to go above and beyond to meet your HVAC needs. Comfort Pros Heating and Cooling is founded on skilled craftsmanship and good old-fashioned values. In an industry that’s too-often lacking in service, we stand out from the HVAC crowd. Some say it’s our prompt arrivals and speedy repairs; others appreciate our value-driven pricing and competitive savings offers. Whatever the reason, we’re grateful to be your heating and cooling choice—and we’ll work to earn your trust with every visit. From standard AC repair to complex system replacement, our HVAC company has you covered. With over 20 years of experience, Comfort Pros Heating and Cooling has provided unsurpassed heating and air conditioning customer service to clients across the Kansas City area. Our family-owned and -operated HVAC company was founded in and still calls Lee’s Summit, MO, home. We proudly practice traditional values and implement these values within our innovative heating and cooling solutions in the Blue Springs area as well. As proud members of our local community, we seek to serve our neighbors with the utmost respect, honesty, generosity, courtesy, and unmatched customer service and satisfaction. Put simply, the Comfort Pros family provides high-quality heating, cooling, and indoor air quality services to other families in the Kansas City area. 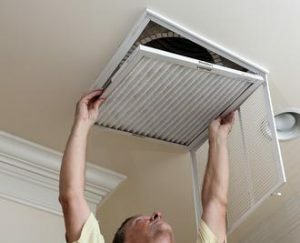 Whether you require speedy, experienced maintenance or repair on your furnace, emergency air conditioner repair, or your HVAC system is needing to be replaced by a new, up-to-date system in your home or business, our experienced and highly-qualified team is ready to tackle the job. Reach out today to receive your free estimation! Lees Summit, Kansas City, Blue Springs, Grain Valley, Raytown, Lone Jack, Oak Grove, Grandview, Greenwood, Belton, Raymore and Independence.